On April 12th, I along with Jeannine Davies and others that participate in the actualization of our work with water, held a demonstration as part of the Yuri's Night celebrations in San Francisco. 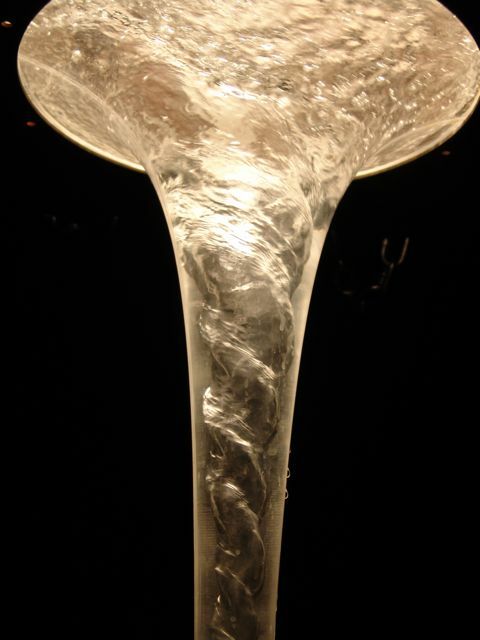 The piece presented is a vortex sculpturing of water. It renders new aesthetic form and conveys new principles for the physical sciences. 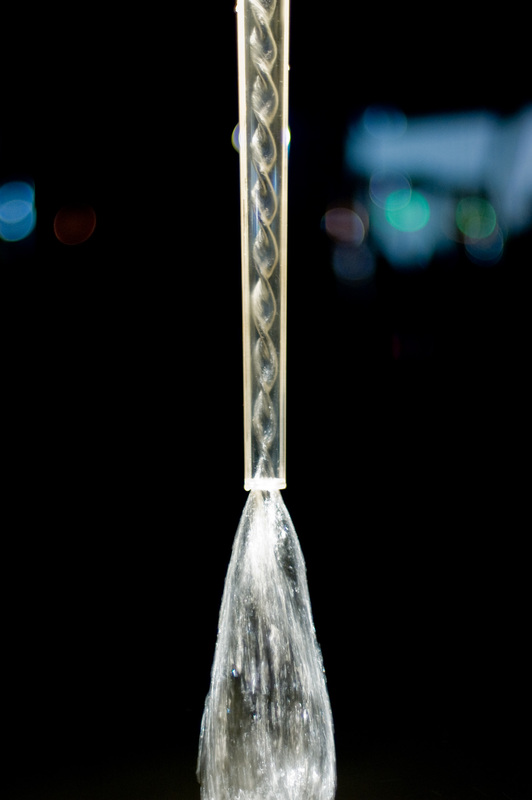 For the arts, the piece portrays the essence of water – its inner light that emerges when properly accorded. 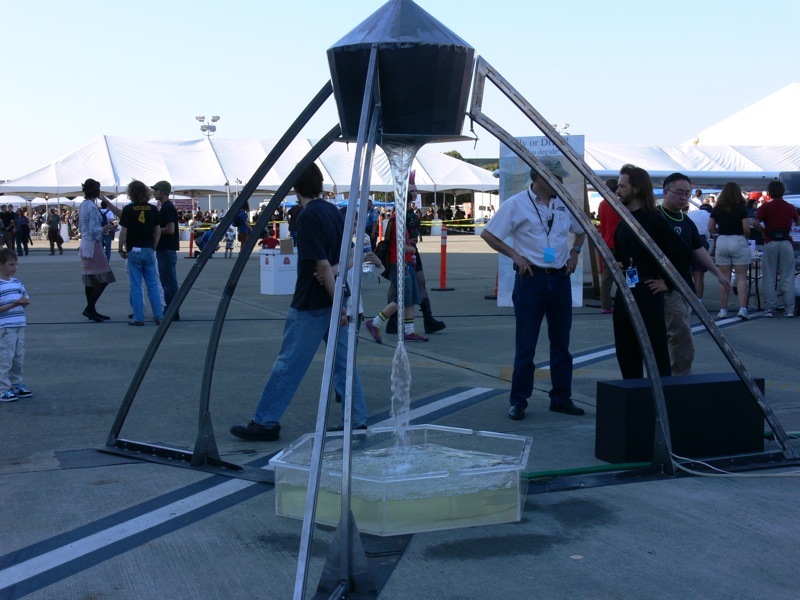 For the sciences, the piece demonstrates a non-turbulent vortex system with controllable instabilities – unexpected and dramatic properties given its dimension and flux. Its shape reflects the topological fabric of our cosmos. It is the hallmark vortex. The work is also the basis of a new physics for the purification of water. Through our technology roadmap and business strategy we see the greening of many industries. Included in this vision is abatement of toxic mine run-off, as well as eventual impact upon rural development and the world water crisis. The reality of this work has set alight spiritual consciousness, and has been received with exceptional praise by indigenous elders, including the Hopi. Its transcendent nature has made the birthing process slow and deliberate. The exhibition of this work will be an invitation for deeper engagement, and an observation of its ineffable dimensions harbored by the mind. Include below are teasers for the exhibition, along with more information about Yuri's Night. An inconceivable forum of people will be present; please share this announcement in any way that can create greater engagement. Electronic and Live Music, Vocals and DJ’s by cutting edge artists from around the world. Yuri’s Night World Space Parties is a unique convergence of artists, scientists, astronauts, performers, technologists, and musicians to pay tribute to our shared global heritage in space exploration while celebrating humankind’s first venture into space by Russian Cosmonaut Yuri Gagarin on April 12, 1961, and the launch of the first Space Shuttle on April 12, 1981. Through simultaneous celebrations worldwide, Yuri’s Night is a collaboration of creative thinkers from all fields to ignite excitement about what is new on the horizon in space exploration and to remind us of the inspiring possibilities that humanity can achieve. 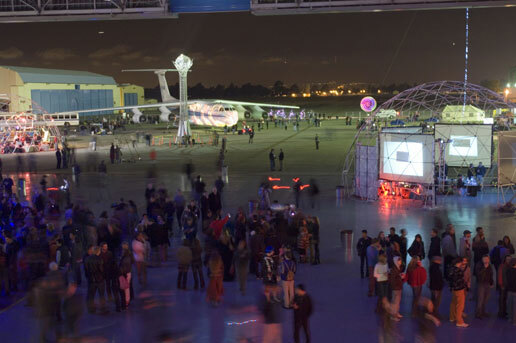 In 2008, NASA's 50th Anniversary, the NASA Ames Research Center will host the largest Yuri’s Night event ever held. The theme for Yuri's Night Bay Area 2008 is Radical Technology for a Sustainable Future. This year, in addition to celebrating and learning about mankind's legacy of space exploration, you will see art, science, and technology demonstrations showcasing the breakthroughs that will help us preserve our planet and our species, and hear from the brightest minds who are developing these technologies and helping to shape our future. Stop by for a chat with Bay Area entrepreneurs and NASA engineers showcasing their newest technologies. Pause to enjoy a thought-provoking piece of science-inspired artwork, and then dive deep into a conversation with its creator who is standing nearby. Bring your thinking cap and share your opinions at the Festival of Ideas, where you can participate in open discussions and listen to speeches from distinguished technology leaders. And when your brain is full, come dance to the beat at one of our two main stages, zone out in front of delicious visual stimulus from our expert VJ's, or pick your jaw off the floor as our aerial performers defy gravity with strength and grace in a way that no astronaut can. Last year over 4000 people attended, and a larger audience is anticipated for this year! Yuri’s Night Bay Area 2007 received coverage on national and international media outlets. The event attracted the attention of the world through the blogosphere as well as Wired, CNET News, ZD Net, MSNBC, CBS 5, ABC 7 News, the San Francisco Chronicle and more. Sarah Lefton for SFGate.com wrote, “My jaw scrapes across the cement as we turn the corner into a giant airplane hangar lit up with video, lights and thousands of people with blinkies affixed to their earlobes. There are fog machines, there are twirlers, there are glowy poi being spun, we are in a Federal Government facility full of aircraft.” She continues that there is “a sizable klatch of artists who have come to show off their geeky visual and sound art in this most unlikely setting. Video artists are projecting surreal visions on the Kulper Airborne Observatory.” And people are dancing!